Headquartered in London, we also have DMC offices in key European and International locations. Allow Uniqueworld to introduce to you what is new, unique, emerging and innovative, reflective also in our client relationship to be; personal, flexible and motivated and best of all our proposal writing is completely free of charge! Our leading DMCs offer expert Destination Management services outlined here to save you hours and hours of precious time, labour, money by providing knowledge, expertise, creativity and local reliable contacts. Deciding when to use a DMC depends on several factors, including meeting size and activities, destination, budget, staffing requirements and familiarity with the destination. Receive a proposal or quote today via the Contact Form. DMCs are ideal to not put strain on your internal resources. For instance, if the client needs to staff the movement of a lot of people, a DMC has the local knowledge and manpower to provide a quality service for your event. Helping you to impress your client! Our full service member DMCs act as a partner who will go out of their way to provide knowledge, services and contacts in a destination. Ideal for when you do not know about a city or destination to plan certain aspects of the program. Our members are willing to go above and beyond! Services will include information about the destination and how to best navigate it and source the best suppliers outside of the DMC to work with for other things. First class transportation organised and managed by our experienced people. Accommodation From Five Star hotels, to 4 star options, DMCs will find the right accommodation to meet your precise requirements. Making your meeting, product launch or event a unique and memorable wherever it is in the world. DMCs have the extensive network of local suppliers required to plan every part of your programme from start to finish, with attention to detail placed on all Itineraries. Meeting all needs for the organisation of meetings, conferences, congresses, for a varierty of assoiciations including the Medical and Pharmaceutical Industry. From F1 racing, the Brazil World Cup to the Ski Olympics - DMCs can assist you with a variety of event programmes. DMCs will tailor a social programme to make your event truly unique. 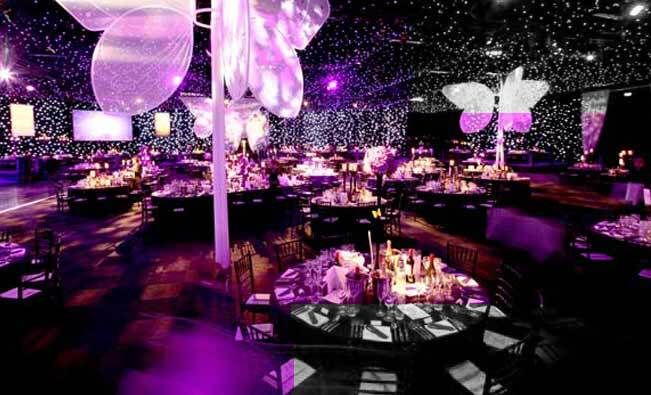 Venue Selection & Management Destination management assist in finding the most appropriate venue for you if required. Planned with creativity, imagination, and bold ideas! Audio Visual Equipment Sourced via a DMC is the provision of front and projection, lighting, staging, sound equipment and product launching. This is what makes us UNIQUE! We get you behind the scenes and into places where other visitor cannot.